Reduce your number of charged off accounts today with First Credit Resources, Inc. (FCR). We have been a leader in the collateral recovery industry since 1991, and only continue to grow. 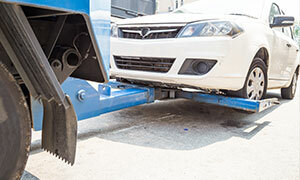 That's because FCR doesn't simply tow vehicles; we provide professional collateral recovery, skip tracing, and other services to take the confusion out of collateral recovery. Our business is headed by CEO David A. Kennedy, who was vice president of consumer lending for a regional bank before founding FCR. 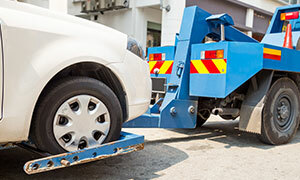 Through his 15 years of experience in lending and 27 years in collateral recovery. David and his team are well aquainted with the role that lenders, consumers, and regulators play in the collateral recovery industry. With extensive training FCR has focused on assuring the collateral recovery process is completed in a professional & compliant manner. Our field agents complete some of the most rigorous street level training in the industry. Keeping abreast of all State & Federal regulatory requirements. In addition our operation has taken advantage of all the latest technology available to our industry helping us to consistantly recover our clients' collateral in a timely fashion.